A lot of frantic sorties have been launched in recent months regularly to as far down as South Africa, in order to rundown the remaining air frame time and wind down the clock on this Tupolev, almost as if the navy wanted to be done with it. But why has the good vibes about this bird turned over the years into antipathy towards it in a service that now finds itself without really long range MR and interdiction assets? A very senior naval person of impeccable integrity and vast and varied experience with whom I had, a few days back, raked up the topic of the imminent de-induction of the Tu-142, responded that left to him he’d have tried and retained this aircraft and its capability. Russia has been offering 22 Tu-142s, from a huge store of this aircraft, possibly kept as war wastage reserve. He called today to say that as he was not an aviator, he had consulted with his naval aviation colleagues and was now persuaded by their argument that it was a damnably difficult plane to upkeep, and the attention it required after each sortie was just too onerous. In comparison, the Illyushin-38 for like missions in the ‘Sea stallions’ squadron based in Goa, is a dream, easy to service and maintain, and a delight to operate. The trouble though is the Il-38 has very little combat range compared to the Tu-142, and also a limited lethal payload capacity — the Sea Eagle anti-ship missile, free fall bombs, and a short-range Air-to-air missile for self-protection versus the Kh-22 anti-ship cruise missile and the Kh-15A short range air-to-surface missile carried by the Tu-142. What many in the navy are getting exercised about is their belief that Russia through their commission agent in India is stirring up a needless controversy about a contingent strategic void being created by the absent Tu-142s, given that the great expanses of the Indian Ocean still need surveillance and armed monitoring, a role the Il-38, optimized for what the Russians call the “coastal ASW” mission, simply cannot pull. Those having anti-Tu 142 views, however, point out that the offer of 22 or howsoever many planes the Indian Navy wants to offtake is because Kremlin has decided that it wants to revive an oceanic anti-submarine warfare capability for itself but lacks the financial resources to set up a factory to produce a new power plant for it. And here’s where an Indian buy of these aircraft was supposed to come in handy. It was expected to generate the funds for the Russian Navy to get a newly re-engined fleet of Tu-142s. That this is Moscow’s way of modernizing its MR/ASW capability is not in doubt. That Indian agents will make a lot of moolah out of such a deal cannot be doubted either. That the Indian Navy has scarce monies and is in no position to “waste” any is also a fact. The question still looms — how is this strategic MR-ASW void to be filled? And if the Tu-142 is not the answer, what’s the alternative? P-8I? But the synthetic aperture radar on the P-8I, it is said, cannot pick up the Karachi port — which may be apocryphal view. but the fact is it has simply not panned out as the navy expected. Then again, neither did the Tu-142. This entry was posted in arms exports, Asian geopolitics, Culture, Decision-making, Geopolitics, Great Power imperatives, India's strategic thinking and policy, Indian ecobomic situation, Indian Navy, Indian Ocean, Military Acquisitions, Military/military advice, Missiles, Relations with Russia, Russia, russian assistance, russian military, South Asia, Weapons. Bookmark the permalink. TU-142 was a platform that belonged to a bygone era. If you look at the modern choices , P-8 seems most suitable. Only Japanese p-1 seems to be designed for maritime patrol. Will be very expensive. Instead of thinking about the past, we need to learn from p-8 . It is a value for money platform. Take a commercial plane with the range we want like airbus 330 or boeing 777. If we can make an embraer based AEW , this should be possible. In what was do you state that the Tu-142 was the product of a bygone era? How is the P-8 a “value for money” platform? Please expand upon your claims. Well the above article, based on a Pentagon report ,says it all about the deficiency of the P8i in its primary roles of ASW and WAS.Why IN chose to buy 12 of these lemons is a mystery… or is it?To hear IN chief Lanba wax eloquent about its capabilities at the farewell speech for the TU142 one would dare say hes landed a salespersons job at Boeing post retirement. The problem ,as Bharat rightly pointed out is that theres no alternative which is any good.Looks like IN is caught between the lemon and the deep blue sea. But isnt Lanba the same joker who wants the naval LCA program junked?Ah..how could I forget?no wonder he likes the P8i so much given that he suffers from the same malady[westernitis? ]as the IAF has been suffering for many years now,hope a cure is found soon before such elements and their cronies bankrupt the country in the guise of providing the “boys” the very best systems[most expensive? ]to fight with. India is unashamedly a slave mentality nation. 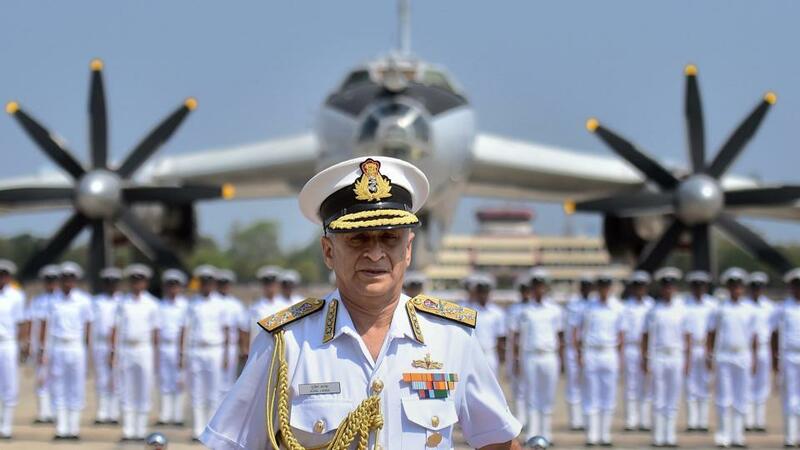 Reports indicate that Nirmal Verma who was one of the chief backers of the shameful LEMOA is now having an extended stay at USN facility at Rhode Island, after the completion of his tenure as Indian Ambassador to Canada. Further, If reports are to be believed, he has shown utter disdain for MEA advisories concerning the unsuitability/improperness of his extended stay. Such is the temerity of these people.